With purposeful investigation, it presents a genuine science of man where cosmic forces mingle with physiology, psychology, magic and spiritualism. 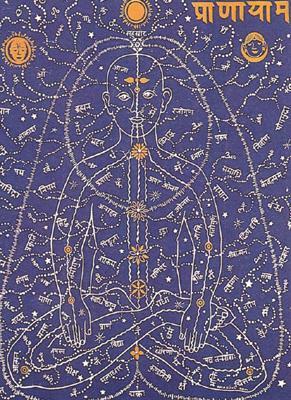 Tantra offers a practical, multi-leveled vision of the human being, a unified theory that explains the most intimate aspects of man’s behavior which have evaded current research. A detailed, sincere study and practice of Tantra would contribute to the enrichment of contemporary science and psychology in a manner not as yet conceived. Tantrism recognizes in Kundalini the source of a mysterious energy — an energy still not properly defined by modern science but of paramount importance for a complete spiritual emancipation. If we add that the Ageless Wisdom defines Tantra as the spiritual system best adapted to our era of Kali Yuga, where spirituality is declining even as man and woman are desperately trying to reintegrate themselves into a creative and spiritual cosmic center, we realize the significance of these techniques. Today we are bound to an “objective” knowledge which is becoming more and more mechanical and inhuman. Abstract thinking is linked less and less to real life yet defines most of our activities. Therefore, it is absolutely necessary to practice Tantra, a highly accurate, subjective knowledge which is accessible to everyone, through personal experience and validation. “One can fall due to the earth, another one can, without doubt, raise himself with the help of the earth.” (Here “earth” is the symbol of woman and sexual pleasure). Tantra is a complex discipline, an accurate method and a profound analysis based on rational foundations, it is a Meta-Science dealing with the different aspects of the Supreme Consciousness and ways to experience it. Here, sexuality forms only the basal, prima facie of its techniques, and in this School, it is subjected to a rigorous discipline, because it is known that the secret of Life lies in controlling the sexual energy. The male worshipper has an attitude toward the woman which is different from that of an ordinary person performing the sexual act. The woman is transfigured into a living symbol and earthly manifestation of the Divine Mother of the Universe – Parashakti. 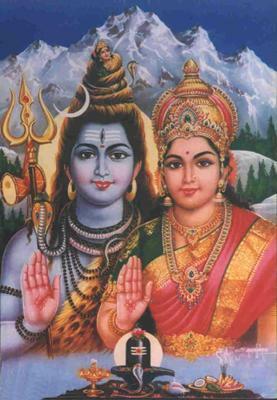 Likewise, for the woman, man represents a vital embodiment of the Everlasting Male Principle – Shiva. The sexual beatitude raised at the transcendental level of an extraordinary psychic experience with a spiritual character reflects, then, the ineffable happiness of a subtle cosmic nature, known in Yoga as Ananda (i.e., cosmic beatitude) and in Tantra as Samarasa (i.e., the savor of equality).